A quality designed steel security lock specifically for the secure protection of PC's with a security slot. 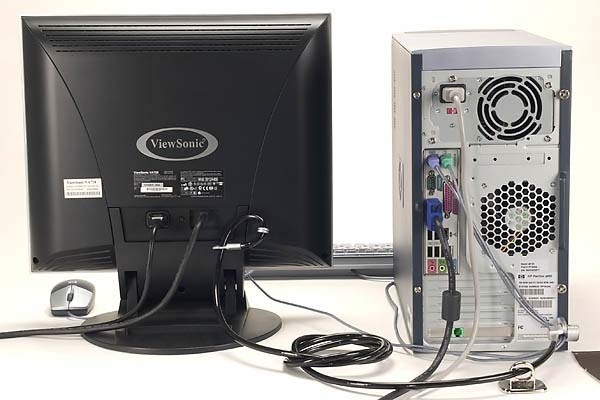 Protecting - with one simple to use system - computer, screen and peripheral cables. Simple installation and easy to use push button locking.